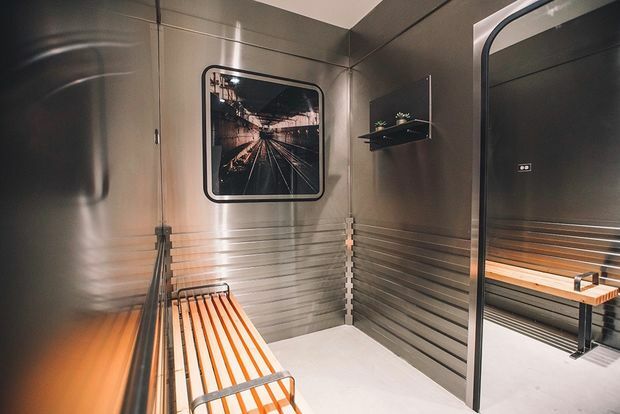 WICKER PARK — Ding-dong, doors closing: The new Adidas Originals store has a fitting room that looks like an 'L" station. The mirror in the room looks like the doorway between train cars and the bench resembles the kind found in CTA stations. A black-and-white photo of L tracks adds to the vibe. And the walls are wrapped with brushed steel, similar to train cars. Located at 1532 N. Milwaukee Ave., the store has other artistic touches. The walls feature paintings by South Side artist Tubsz. According to Footwear News, Chicago-based non-profit organization iPaintMyMind will display the art of local artists, and change the work out quarterly. A "Community Wall" be a spot for customers to interact, share and learn about local events, shows and product releases. In front of the store, there is a massive sculpture using reclaimed materials by the artist known as Pose. 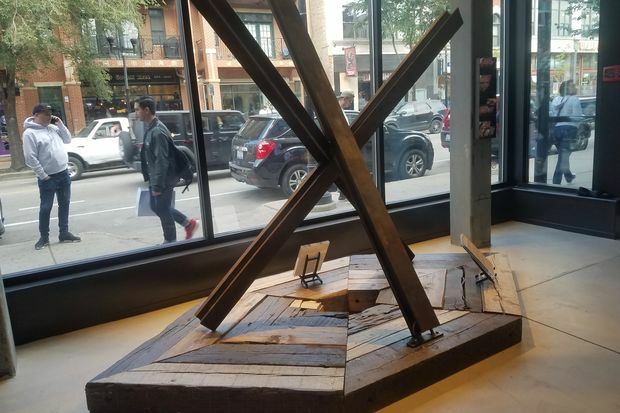 "We’re continuously inspired by Chicago, and the store enables us to celebrate the pioneering culture and creativity the city has to offer," Adidas exec Pascha Naderi-Nejad said in a prepared statement.